We’re about to begin air conditioning season in Avila, Florida, which generally means increased energy costs for local homeowners. But, did you know there are ways you can keep those cooling costs in check, even at midsummer? Discover a few tips that can help. Running your ceiling fan is beneficial for keeping air circulated and creating a nice wind chill effect, allowing you to set your thermostat temperature slightly higher than you normally would. You may think you’re wasting energy, but it’s actually more efficient to ease up on your air conditioner use and run a ceiling fan to help boost the system’s cooling power. The key to using fans, however, is to only turn them on when you’re in the room. If you don’t have a programmable or smart thermostat, now is the time to upgrade. 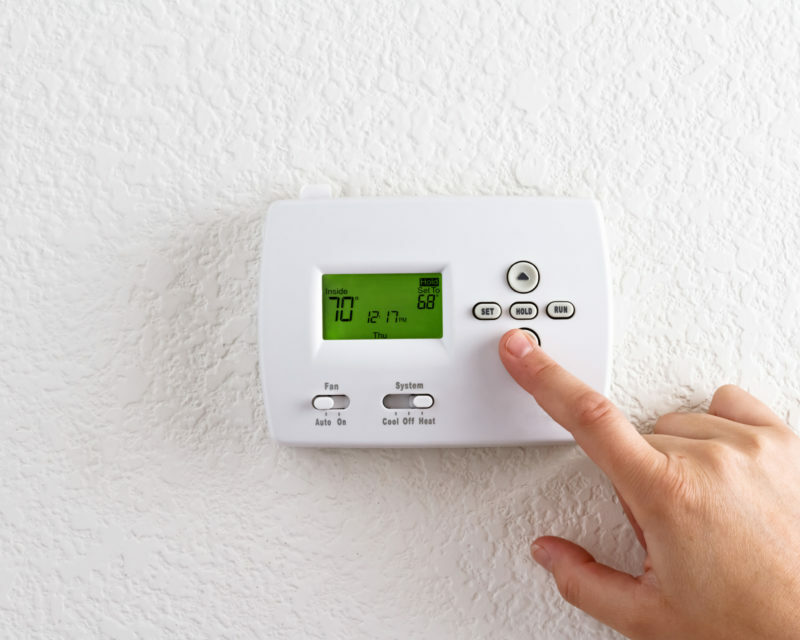 Programming your thermostat to increase the temperature by 10 or 15 degrees when you’re away from home is one of the best ways to reduce cooling costs. You can maximize your savings by running the AC at a more efficient temperature for eight hours per day. When you are home, aim for a temperature around 78 degrees. Homes heat up faster when the sun is glaring through the windows, so don’t shy away from keeping those curtains drawn. Using blinds, black-out curtains, and heavy drapes will help insulate your windows, keep out the sun’s excessive warmth, and prevent cold air from escaping. Along these same lines, you should check your home for other poorly insulated areas, such as attic spaces. Adding new insulation and weatherstripping can boost your home’s overall efficiency for year-round savings. Don’t take your home’s cooling costs lightly. Contact Advanced Cooling Systems at 866-827-7662 to schedule your next air conditioning maintenance or repair service. We’ll ensure your home and ductwork are properly insulated and identify problem areas preventing you from enjoying maximum energy savings.